WARNING! This is no longer a process that we use in our company, or would recommend to anyone else. It turned out that Azimo has no better rates for transfer to some countries (esp. Nepal) than commercial banks when considering both the flat fee and the exchange rate losses. By comparison, TransferWise has the more transparent fee structure, as indeed they calculate with the mid market exchange rate and list everything else as the transfer fee. And since they added more destinations recently, esp. Nepal in 2018-03, we have no reason left to use Azimo. It’s faster (immediate for cash pickup, 24 hours plus country-internal bank transfer time for a transfer to a bank account). It shows the exchange rate before, and offers a better exchange rate (still not the mid-market rate though but about 4% less). It has lower fees: always 2.99 EUR per transfer. In contrast, bank charges plus exchange rate losses can easily reach 40 EUR for a 400 EUR transfer in such cases, esp. when sending money to “developing” countries. It allows various methods to receive the transfer, also allowing to send money to people without a bank account (depending on the destination: bank account, cash pickup and / or mobile phone top-up). Create an Azimo account. Create it under your own name, at azimo.com. Payment amount. Look at the comment field or else, at the attached invoice file of the FreeAgent record for the payment to make to see if the original invoice is in EUR (which is preferable for us) or in a national currency. If the invoice is in EUR, enter the payment amount in EUR – very straightforward. If it is in a foreign national currency, enter a EUR amount first, go to the next screen, and adapt the national currency amount as needed. Do not simply enter a EUR amount converted from the national currency as found in FreeAgent – this uses a different conversion rate and will cause the recipient to receive abotut 4% less than invoiced. Fund the transfer. Send a bank transfer from the Edgeryders bank account to the account indicated by Azimo when you initiated the transfer at their website. Adapt the FreeAgent record (if needed). 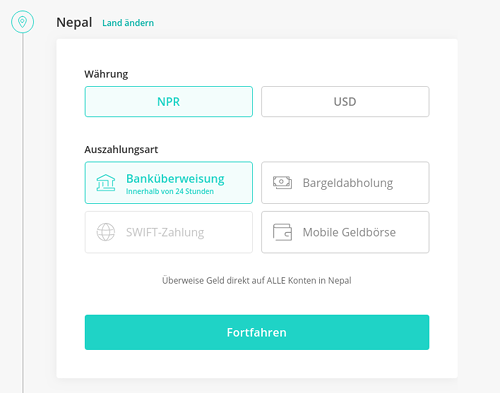 In case you are paying an invoice issued in national currency, go back to the FreeAgent record and adapt its EUR amount according to what you sent to Azimo. The previous value was preliminary as it is not known before what exchange rate Azimo will use for the transaction. (For the first transfer:) Prove you can pay on behalf of Edgeryders. For the first transfer, and only the first, Azimo will follow up with an e-mail requesting documents about the Edgeryders company. This is because they need to confirm that the Azimo account holder is the CEO, a director, a board member or proprietor of the company / organization, due to “know your customer” (KYC) regulations. Visit the Estonian e-Business register. Search for company information by enterig our company registration number, 14213857. Click the link “The printout of valid registry card information in English”. Click the “PDF” button in the top right. (For one future transfer:) Inform Azimo about the Edgeryders shareholders. After several transfers with a certain aggregate turnover, they will send an e-mail requesting “a detailed list of all current shareholders (with 25% or more in shares), directors, partners and trustees”. It is sufficient to send this in text form, with names and addresses of all Edgeryders OÜ directors. No need for proving this with any official document.